Introducing new Aussie tween pop act Aussie Youth! Described as “more Australian than a jar of Vegemite”, the foursome is made up of 14 year old Jack Lyall, 13 year old Belinda Barichello, 12 year old Charly Butcher and 11 year old Merrikk Steinfort. Jack and Belinda’s faces may be familiar to viewers of the one and only season of ‘The Voice Kids’ back in 2014, although they’re both seasoned performers as part of stage musicals including ‘Chitty Chitty Bang Bang’, ‘Love Never Dies’ and ‘Annie’. And though Charly and Merrikk don’t have the same CV at this stage (we’ll cut them some slack, given their ages), they both bring an enormous amount of energy and performance nous. 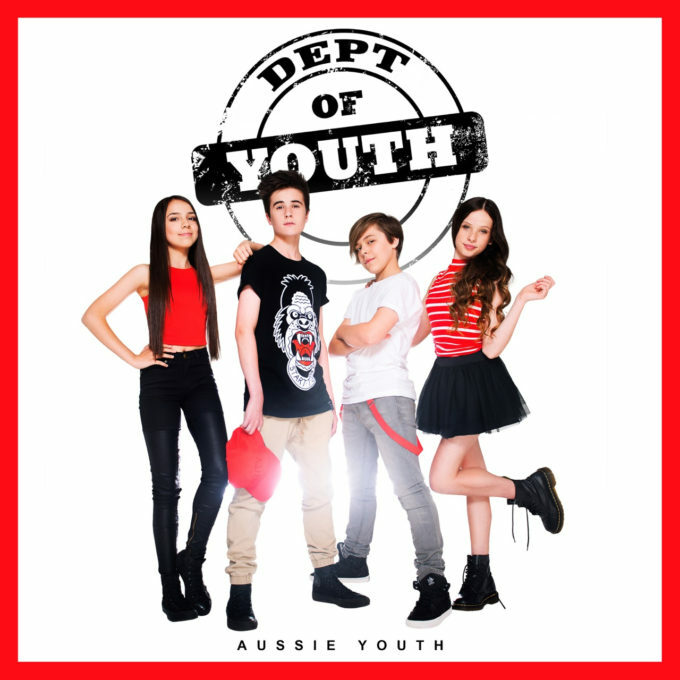 Working with a team of talented types, the band is ready to take on the tween music market and they’re kicking things off with a cover of Alice Cooper’s ‘Department Of Youth’ (abbreviated to ‘Dept. Of Youth’… much cooler)! It’s available now. Check out their little promo video below for a taste of what to expect from some of their forthcoming originals.